Oscar-Nominated Scores: 'Geisha,' 'Gardener' The music of the movies is one of Andy Trudeau's specialties. 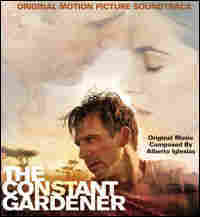 His annual look at Oscar-nominated scores begins with Alberto Iglesias' The Constant Gardener and John Williams' Memoirs of a Geisha. Follow NPR coverage of the awards season and get reviews of many of the nominated movies. In three weeks the National Academy of Motion Picture Arts and Sciences will hand out Oscars in a wide variety of categories, including Best Original Score. The music of the movies is one of Andy Trudeau's specialties, and for a decade he's offered his preview of the nominees. This year, as he tells Liane Hansen, "independent is in, small is in... and blockbusters need not apply." Just four composers are in the running: John Williams (for Munich and for Memoirs of a Geisha); Alberto Iglesias (The Constant Gardener); Gustavo Santaolalla (Brokeback Mountain); and Dario Marianelli (Pride and Prejudice). Last year's winner, if you've forgotten, was Jan A.P. Kaczmarek for Finding Neverland. In the first of a three-part series, Trudeau helps us all listen a bit more closely to The Constant Gardner and Memoirs of a Geisha. Rhythm is the organizing principle of Gardener. Iglesias is known for his work with a fellow Spaniard, the director Pedro Almodovar (Bad Education, Talk to Her, Tie Me Up, Tie Me Down). Here he uses a sort of jazz feel to score a film set in Africa. Iglesias is "combining -- not blending -- African ethnic elements with Western instruments," Trudeau notes. But for the emotional pressure points of his first mainstream Hollywood movie, Iglesias turns to elegiac strings, a piano playing chords with space in between, and a mournful choral line. John Williams wrote music for four films in 2005. He was not nominated for the epics Star Wars, Episode III and War of the Worlds. 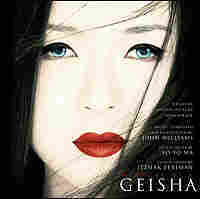 Japan, another non-Western locale, is the setting for Memoirs of a Geisha. Williams chose a theme-driven score, getting some help in developing his themes from such musicians as Yo-Yo Ma on cello and Itzhak Perlman on solo violin. But like Iglesias in Gardener, Williams also plays with native instruments, mixing koto and percussion, with a little flute thrown in... and combining other Japanese instruments with a Western string section imitating Japanese styles and a percussion section doing the same. Williams is perhaps not often thought of as a "quiet" composer, but Trudeau finds him showing impressive "restraint" in Geisha. "The score is predominantly quiet, but still makes his musical points," he says.